D. Jarrett Arp is a partner in the Washington, D.C. office of Gibson, Dunn & Crutcher, where his practice focuses on antitrust and competition law counseling, investigations, and litigation before U.S. trial and appellate courts. 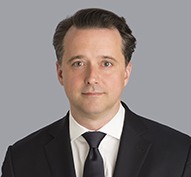 A member of the Virginia, District of Columbia, and Brussels Bars and a solicitor of England and Wales, Mr. Arp has represented companies and individuals in international competition law matters, including numerous significant cartel investigations, over the course of twenty years. The defense of multinational companies as well as individuals in connection with more than twenty international cartel investigations and antitrust-related U.S. grand jury investigations – including plea negotiations and/or leniency applications in the United States, the European Union, Canada, the United Kingdom, Australia, Japan, Brazil, Switzerland and a variety of other jurisdictions.Mr. Arp has also secured several significant declinations, in which antitrust authorities ultimately declined to bring charges and closed their investigations. Most recently, Mr. Arp played a leading role in Gibson Dunn’s representation of UBS AG in the LIBOR and Foreign Exchange investigations. The defense of U.S. and international companies, including UBS AG, Akzo Nobel, NV, Flexsys NV, and Martinair Holland NV, in a wide variety of civil antitrust lawsuits, including class actions involving allegations of price fixing and related claims before state and federal courts throughout the United States. The defense of Hudson News against claims of an alleged conspiracy to monopolize magazine wholesale markets in Anderson News, L.L.C. v. American Media, Inc. et al (S.D.N.Y.). The defense of McDonalds against claims of “bid rigging” under Section 1 of the Sherman Act in Abbouds’ McDonald’s LLC v. McDonald’s Corporation, 2006-2 Trade Cas. ¶75,324 (CCH). The representation of American Airlines in United States v. AMR Corp., 140 F. Supp. 2d 1141 (D. Kan. 2001), aff’d, 335 F.3d 1109 (10th Cir. 2003), where American obtained summary judgment in a predatory pricing case brought by the U.S. Department of Justice. The representation of Atlantic Coast Airlines in Atlantic Coast Airlines Holdings, Inc. v. Mesa Air Group, Inc., 295 F. Supp. 2d 75 (D.D.C. 2003), its federal lawsuit to block a hostile takeover attempt in 2003, leading to a preliminary injunction that preserved Atlantic Coast’s independence. The defense of Intel Corporation against Federal Trade Commission charges of monopolization (FTC Docket No. 9288). Mr. Arp co-authored the antitrust criminal investigations chapter of a leading treatise, Defending Corporations and Individuals in Government Investigations (West, 2011 & 2013 eds.). During 2002-2010, he served as the Editor-in-Chief of Antitrust Report, the quarterly U.S. law periodical published by Mathew Bender and Lexis/Nexis. He has also served as a member of the ABA’s International Cartel Taskforce (2012-2014), an Associate Editor of the ABA’s Antitrust magazine (1999-2008), an Editor of the ABA’s First Supplement to Competition Laws Outside the United States (2005), and an Adjunct Professor of Law at the Washington & Lee University Law School (teaching antitrust; 2002-2005). He has been quoted in the media, as well as written articles and delivered speeches, in the United States and Europe addressing a variety of antitrust law subjects, including Internet and online competition as well as international cartel enforcement policy and practice. Mr. Arp previously served as an officer with the United States Army’s 101st Airborne Division and as a Special Assistant United States Attorney for the Middle District of Tennessee. Mr. Arp received his law degree in 1991 from William and Mary, where he served as an Executive Editor of the William and Mary Law Review. He earned a Bachelor of Arts degree in Political Science from Wheaton College in 1988. Client Alert - February 2, 2009 | Predatory Pricing and Unfair Trade Practices.